You don’t have to be worried about anything with our all-inclusive packages. 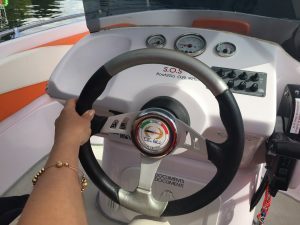 At Boat2Go we will provide you with everything you need including insurance, fuel, instructions, training, life jackets, and many extra services. Don’t worry about the parking, the area has many car parks and bike park spaces available. If you don’t find any parking, or you’re worried about parking, then Boat2Go can reserve a specific parking space for you. This also includes protected and covered if you desire. Boat2go provides extra services like towels, Cooler, Ice, Covered Parking, special discounts with local Restaurants, Campings, B&B and Shops. Do you have special requests? Do you need to book a Restaurant? Do you need a suggest? Our Team will be happy to assist you. Boat2go has a lot of friends! We have a large selection of vouchers, special discounts reserved to you. Restaurants, Campings, B&B, Gift Shops, Sailing Criuses and more.